Capital Business Forms, Inc. Monthly Special! 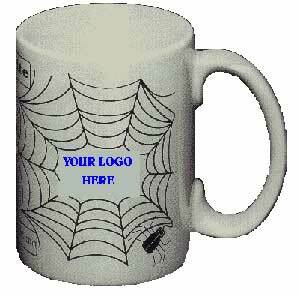 There are 7different styles of mugs to choose from including this one with the Stock Web Design. Which includes not only your name and logo BUT YOUR WEB ADDRESS ALSO!!!! This 14 oz. 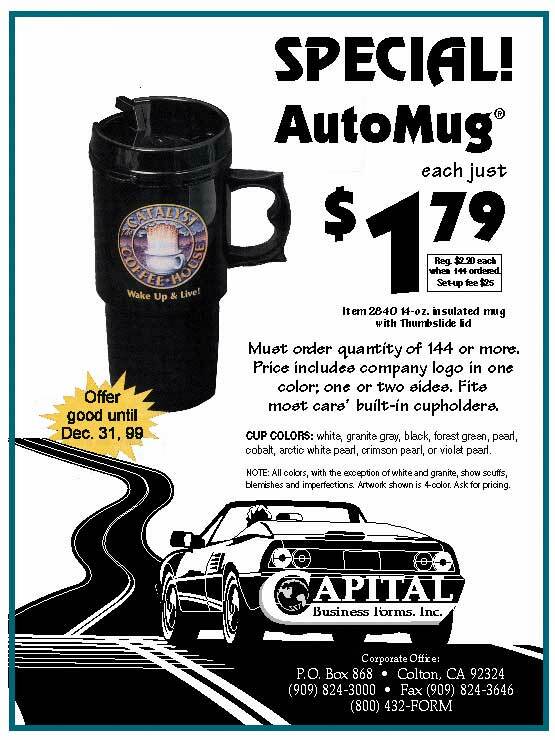 Mug is as low as $2.50 each ( PLUS $40 SCREEN CHARGE PER COLOR ) for a quantity of 144. But the more you order the MORE YOU SAVE call us or contact us for more information.